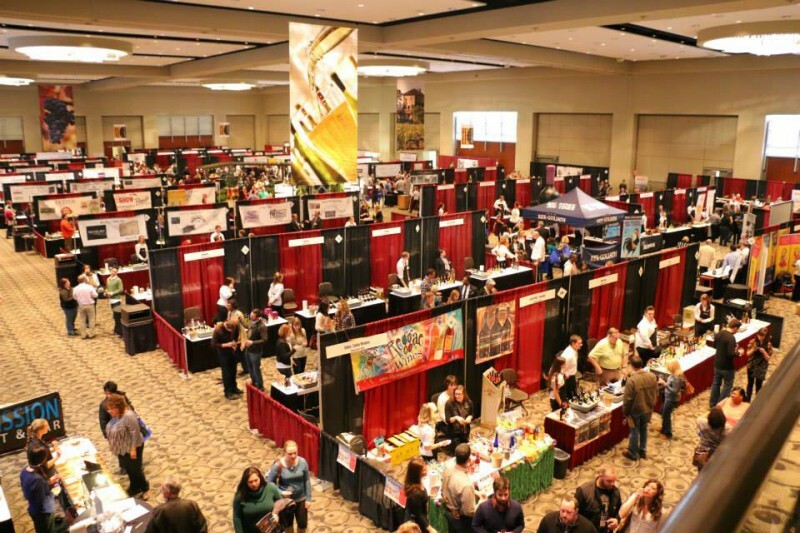 The seventh annual Grand Rapids Wine, Beer, and Food Festival occurs starts tonight at the DeVos Place Convention Center. Explore and taste some of the Midwests' best offerings in food, wine, beer and spirits. Thursday, November 20 : 5 p.m. - 10 p.m.
Friday, November 21 : 4 p.m. - 10 p.m.
Saturday November 22 : 12 p.m. - 10 p.m.
Stay informed through Facebook or the event website. Tonight kicks off the seventh annual Grand Rapids International Wine, Beer and Food Festival. One of the largest culinary celebrations in the Midwest, it will take place in over 80,000 square feet of the DeVos Convention Center. In the expansive space one can explore and sample over a thousand of different wines, ciders, beers and spirits. Guests can also taste food samplings from 15 local area restaurants. The event runs from 5:00 p.m. Thursday and goes until 10 p.m. Saturday evening. Tickets can be purchased ahead of time online or in the box office at the convention center. Along with a usual single day pass attendees can also purchase a three day pass at a discounted rate. This event is geared towards anyone in Grand Rapids over the age of 21 wanting to learn more about food and beverage from various cultures around the world. Attendees will be able to sample over a million different items. They can also attend various classes and seminars. 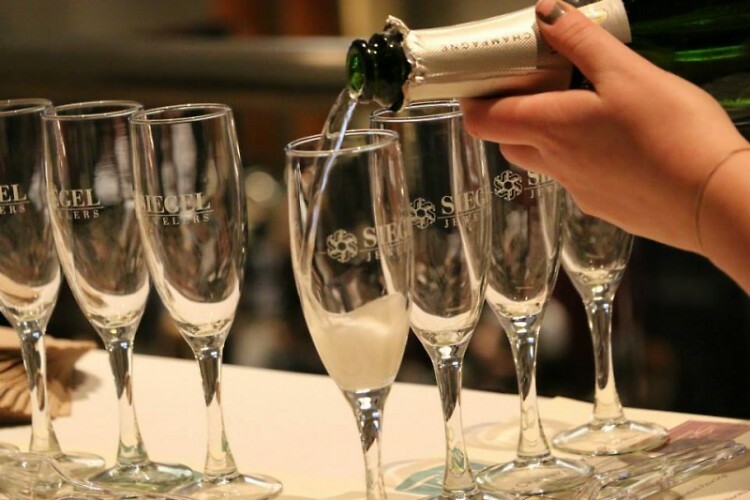 Hosted by various headliners in the world of wine, beer and spirits, some seminars include “West Michigan Agriculture in Your Glass,” “Beer and Chocolate: A Perfect Pair” and “Mixology 101.” The session topics all are based on specific categories, which are broken down in a schedule found on the website. The festival also offers numerous food workshops where guests can learn tips and cooking techniques from esteemed culinary individuals. New to the festival this year is the expansion of the coffee and desserts avenue. The RendezBREW cafe will be in the west end of the Grand Gallery and festival guests can sample various coffees, cordials and sweet desserts throughout the course of the weekend. On Thursday evening, the inaugural Latte Art Contest will have local baristas compete against each other in the throw down. On both Friday and Saturday there will also be coffee and dessert themed seminars within the RendezBREW cafe. Upon arrival to the festival attendees are given a paper booklet listing all the available seminars, the floor plan as well as the complete list of beverage options to sample. This year the festival management team has introduced a free mobile app for guests to download. Available on both Apple and Android markets, guests can view the entire brochure on their mobile device as well as purchase admittance tickets directly on their phone. According to event organizers, by downloading the app attendees can plan out their days at the festival beforehand and then use it to navigate the event on site. After the entrance fee ticket purchase, guests must purchase tickets to sample the myriad of beverages as well as food items. Sampling tickets are 50 cents each, with a number of tickets needed for a sample ranging in number of tickets. For example, an award-winning Michigan wine could be three tickets to sample whereas a top-shelf vintage wine would cost the guest more sampling tickets. Festival management suggests guests start the weekend out with $20 worth of sampling tickets. Guests are encouraged to come ready for food education and exploration.